Pelagios is a free professional resume template. 2-column structure layout, with a dark left side, and green arrow ribbons for section titles. The left side contains a dark-gray full height banner bringing a strong contrast to the whole template. 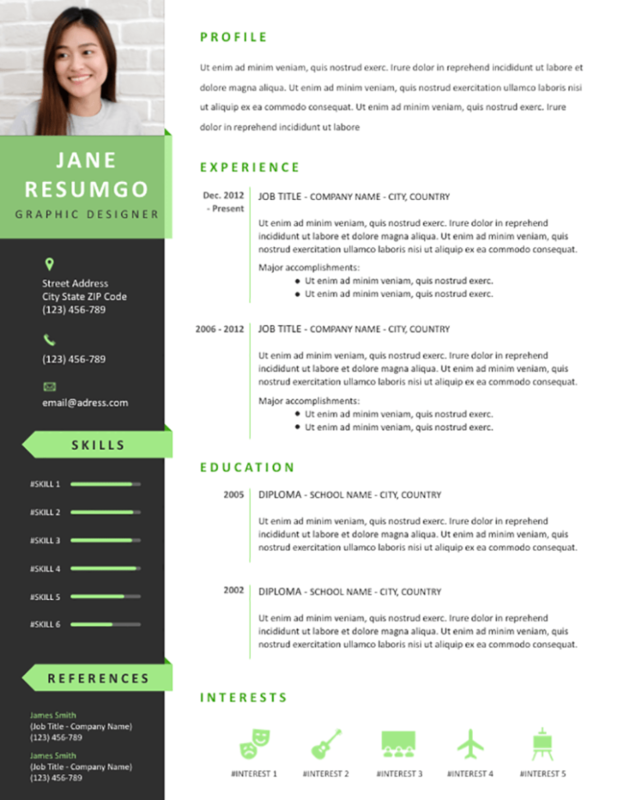 This column embeds your (square) photo and several green infographic elements – along with your name and title, your contact information, your skills (bar charts) and your references. On the right side, show-off your profile description (or objectives), your experience and your education (with a narrow column to better visualize the years). Finally, you can present your interests with beautiful green icons (easy to customize).